Just when I thought the blogging experience couldn’t get any cooler…BOOM!!!! I get an award. This is AWESOME!!! I’d like to thank Cheryl Baker, over at Lightwalkers Blog for nominating me for the Liebster Award. I highly encourage you to check out her amazing blog filled with words of wisdom, poetry, and photography, by clicking the above link. 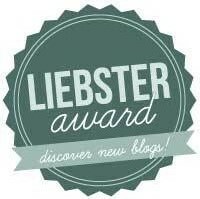 So what is the Liebster Award, you may ask? It’s an award that is designed to encourage new bloggers (less than 200 followers) on their journey to blogging greatness. It is usually given by other bloggers as a way to spread the word that your blog is pretty awesome…(blushing). Answer the questions created by the person who nominated you. Notify all nominees of their nomination for the award. So, I’ve already taken care of #1…(thanks Cheryle), so on to #2 shall we. I know this is terrible, but I love pranks. Everything from prank phone calls to video pranks; I always end up in tears. If I were a color, I would be black; but not for obvious reasons. In the fashion world, the color black is the standard by which all other colors are measured. Although it’s considered a “muted” color, it represents the strongest color of all. Reserved but strong…that’s me. I love wide-open spaces. There is a quaint nature preserve close to my home, where I often go to recharge. It contains a lake and a pier that cultivates instant inspiration. How long have you been writing, blogging? I’ve been journaling since I was around 13 years old. I’ve always had an affinity for freshly sharpened pencils and fountain pens. I started my blog in January 2014, and I’ve been loving every minute of it. I look up to anyone who has the courage to forsake the “herd” in order to pursue their passions and dreams. What is your favourite and least favourite personality trait? My favorite personality trait is honesty. My least favorite is insolence. What is your most difficult experience? When I experienced the loss of a precious loved one, and the loss of a job in the same year, it forced me to look at life through different lenses. Although that time was difficult for me, what I gained by walking through that season was invaluable. I now realize how vital it is to have a strong support system in place, that provides the necessary tools to not just survive, but thrive within difficult seasons. Who would you be if you were a person in history? This is a tough one. If I had to choose, I would say the life of David in the Bible closely mirrors mine. Through all of the vicissitudes of his life, one thing remained consistent; his devotion to God. Truly, a man after God’s heart (1 Samuel 13:14). What do you look for in a post or a blog? When it comes to blogging, I’m all about content. I love to read about champions, who weren’t always champions. I’m into personal process, and the journey that starts from tragedy and culminates in triumph. Of course, I’m a sucker for catchy titles that hook me into reading more. Always listen more than you talk. Would you ever start another blog? What would be the coolest super power to possess? In another life, what animal would you be? Would you rather be early, on-time, or fashionably late? Which one of your 5 senses would you be saddest to lose? If you were Noah, which animal would you leave behind? When you travel, do you prefer driving or flying? Well, I think that about does it for me. Again, I’d like to thank Lightwalkers Blog for the nomination. Please check out the links for all of the above nominees…you will NOT be disappointed.